The Bentley Law Office is a general practice law firm in Oak Hill, in Fairfax County, Virginia (near Herndon and Reston). The principal attorney is J. Geoffrey Bentley, who has been advising clients in private practice, and representing them before a variety of courts, state and federal, and federal agencies for more than 30 years. Clients have included publicly-traded corporations, agencies of the Federal government, states, universities and national not-for-profit organizations as well as small businesses and individuals. Knowing the client and, in the case of our business and corporate clients, the client’s business, is the key to understanding the client’s needs as well as his problem. Years of experience, in a broad range of legal disciplines, allow us to treat the whole problem,not just apply a band-aid. Our goal is to solve today’s problem and also leave the client in a position to pursue tomorrow’s opportunities. To learn about the firm’s history, see About the Law Firm. For information about areas of emphasis in the firm’s practice, see Practice Areas. For information about using the information on this web site and/or becoming a client, see Disclaimer & Privacy. 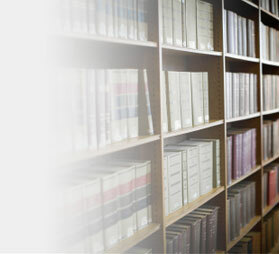 We have also provided a few Useful Links to law-related web sites. These sites are not under our control and, while you may find those sites informative, they are not intended to substitute for consultation with a qualified attorney admitted to practice in the jurisdiction where you reside or are doing business.